Coasterra is a dining experience unlike any other in San Diego. This cruise ship-style restaurant at the east end of Harbor Island is also an outdoor lounge, an events venue and the trophy dining venue of the Cohn Restaurant Group. It’s also a “once in a lifetime opportunity” for owner David Cohn to display his magical abilities to offer a fantastic expression of unique dining as he has brought to his other restaurants. The mostly outside seating offers panoramic views of downtown. The menu is inspired by the fine dining found in Mexico City, but with a modern adaptation. Tableside service is evident in a number of ways. The hand-shaken Margaritas are mesmerizing and made to order with Coasterra’s own brand of Repesado Tequila. 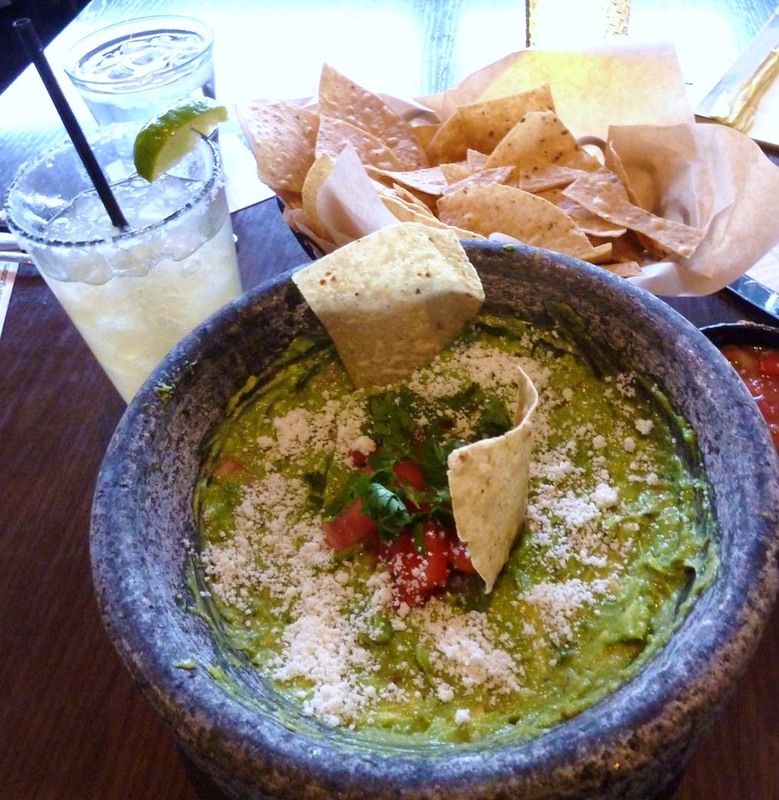 But the main attraction was to be created by “Guacamigo James,” a specialist in the art of making tableside Guacamole. This is the ultimate “Ole” moment with bowls of crushed avocado, tomato, red onion, cilantro, cracked black pepper, cotijas, lime and Serrano. Don’t think for a moment that tacos or enchiladas will be all that’s on the dinner menu. I chose the juicy and flavorful “Filete del Campo.” It was an 8-ounce certified angus filet mignon, one of the best I have tasted in some time, with brown sugar wrapped bacon, creamed corn and chorizo spiked potatoes on the side. It was a masterpiece ($38). The wines were generously California chosen, but with an added Guadalupe Valley Mexican wine list that I had not seen before in such a premium restaurant like Coasterra. This is the work of esteemed Cohn Restaurant Beverage Director Maurice DiMarino. This Cali-Baja connection couldn’t be paired better than with Coasterra’s menu. DiMarino even has a custom made south of the border blend called Costa Terra, with help from one of the leading wineries in Guadalupe, Santo Tomas. Coasterra now has a Happy Hour from 3:30 to 5:30 p.m. Monday through Friday. Enjoy $7 appetizers and sip on $7 cocktails or house wines and $5 select draft beers. Oh, by the way, the million dollar panoramic bay view is at no extra charge. Visit cohnrestaurants.com. “Brunello,” in Italian means “nice dark one” and it’s Italy’s most sought after wine, made in the hills and valleys of Montalcino, in Tuscany. The 2011 vintage is the current one, released in the summer of this year after four years in barrel and one year in bottle. 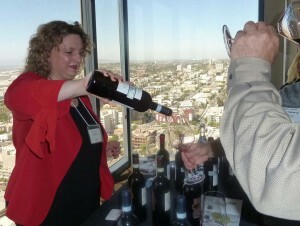 But the most excitement at the recent San Diego Kobrand Tour d’ Italia was for a 2010 Brunello from Tenute Silvio Nardi ($63). For Brunello, 2010 was a brilliant year. Every once in a decade, Italy has flawless weather for peak flavor of its 5,200 acres devoted to the glory of Brunello. Some 400 wineries patiently wait the years of required five-year maturation before releasing its wines to an impatient, adoring public. This road show included other iconic wine producers who trust their futures to Kobrand, a world-renowned wine distributor who represents such names as San Guido with its Sassicaia brand, Sette Ponti, Michele Chiarlo, Masi, Biserno and one of my most recent top 10 tastes, Sette Ponti Oreno from Tuscany. To learn more, visit kobrandwineandspirits.com. A deluxe chauffeured wine country tour is being offered in San Diego County Dec. 1 to Dec. 4 from 11 a.m. to 6 p.m. Pickup and drop off at your home in most locations. Includes three local wineries and about 18 pours, cheese and fruit platter, wine and chocolate pairings, wood-fired pizza dinner and presentations. Cost is $149 per person. Call (858) 551-5115 for details and any questions. Offer expires Dec. 31. PAON Restaurant and Wine Bar in Carlsbad is planning a Moet and Chandon Wine Dinner Dec. 14 with a reception on the patio at 6:15 p.m. Five legendary Moet and Chandon Champagnes including a Dom Perignon 2004 will be presented. Cost is $125. Call ASAP to (760) 729-7377. PALA Casino Spa & Resort on Highway 76 east of Interstate15 presents a Ladera Vineyards diner and wine event Dec. 15 at 7 p.m. in the underground wine cave. Tickets are $105 per person and are available by calling (877) 946-7252. This will be a five-course dinner with five wines featuring the Ladera Howell Mountain Napa Cabernet 2013. Tickets are now on sale at low pre-season prices for the Vin Diego Wine & Food Festival at Liberty Station in Pt. Loma San Diego, April 8, 2017. This fifth annual extravaganza is the fastest growing one of its kind in San Diego. Visit vindiego.com for details and pricing.